Join us for the Race for the Cure Events! Local sponsorship is critical to our being able to support local breast cancer programs and national research grants. Sponsor gifts help underwrite Race expenses and, along with entry fees and donations from Race participants, go directly toward funding breast cancer services and research. When you invest in a Susan G. Komen Northwest Ohio Race for the Cure® sponsorship, you invest in the lives of the people closest to you… the people of your community… your family, colleagues, neighbors and friends. Up to 75 percent of net funds raised stay in northwest Ohio and southeast Michigan to support education, screening and treatment initiatives and a minimum of 25 percent is contributed to the Komen national research efforts. Without the generous support of our Race for the Cure sponsors, we would not be able to provide funds for our community health grantees who educate men and women in northwest Ohio and southeast Michigan on breast health, as well as provide screenings and treatment options. 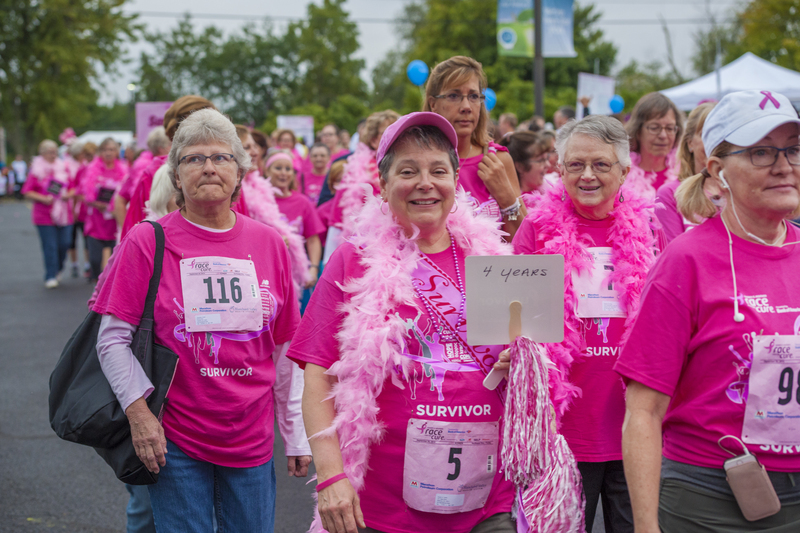 If you’d like more information about becoming a 2018 Race for the Cure® sponsor for both the Findlay and Toledo Races, please contact Mary Westphal via email at mary@komennwohio.org or by calling 419-724-2873.